Robert Richardson currently serves as editorial director of TechTarget’s Security Media Group. Prior to this post, he was editorial director at Black Hat, developing online products for the highly successful computer security conference. He spent several years as the director of the Computer Security Institute, where he was on staff from 2003 through early 2011. In that capacity, he’s given keynote presentations on three continents, often speaking about the CSI Computer Crime and Security Survey done in conjunction with the FBI, an undertaking he directed for several years. Prior to CSI, he was senior editor of Communications Convergence magazine for two years, where his beats included telecom security, wireless, Internet messaging, and next-generation phone systems. Robert started out his career as a systems-level programmer developing early PC network applications, leading to his writing articles that saw him become a frequent contributor to magazines and Web publications such as Ziff-Davis Internet Computing, BYTE, Network Magazine, and Small Business Computing. On occasion, Robert has also taught introductory courses in computer science at Swarthmore College. As assistant site editor, Sharon Shea manages special projects for TechTarget Security Media’s websites, including SearchSecurity and SearchCloudSecurity. Her work focuses on Security Schools and other learning packages and photostories, as well as managing much of SearchSecurity’s Ask the Expert content and technical articles. She also writes SearchSecurity’s weekly news roundup. Sharon worked at TechTarget as a marketing copywriter for two years before joining the Security Media editorial team. Sharon graduated from Suffolk University with a BSJ in print journalism and minor in advertising. Maddie Bacon attended Salve Regina University, where she graduated in 2012 with a B.A. in Mathematics and a minor in Information Systems Management. She previously worked in the Infrastructure department of GTECH Corp. in Rhode Island, and most recently held a sales management position at a retailer. Her duties will include keeping SearchSecurity and SearchCloudSecurity updated on a daily basis, overseeing the team's Twitter feeds, editing multimedia content and managing Ask the Experts contributions. In her role as executive managing editor, Kara Gattine coordinates and oversees the creation, editing and production of editorial projects along with the site teams and contributing writers, leveraging that into comprehensive site features and multimedia for the websites in the Networking and Security Media Groups including; SearchNetworking.com, SearchSecurity.com, SearchCloudProvider.com, SearchUnifiedCommunications.com and SearchCloudSecurity.com. She works closely with the editors to keep the sites focused on the information needs of networking and security professionals and IT decision-makers. With 17 years of experience in computer technology and over 12 years of experience covering the networking, security and mobile markets with TechTarget, Kara understands the critical issues that enterprise networking and security pros face and delivers quality content that will help them address their greatest challenges. 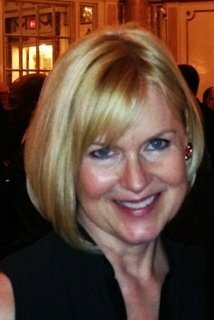 As associate managing editor, Brenda Horrigan produces a variety of media projects, including e-publications and multimedia content for both the Security and Networking Media Groups. She edits articles for flagship online magazines, multi-article handbooks and e-books and assists in the production of webcasts and videos. Her duties include working closely with both in-house editorial staff and industry experts and coordinating with production and marketing teams. Brenda brings to her position writing and editing experience expertise garnered over fifteen years as owner of an editorial services business and a decade as a political analyst for the federal government and a defense contractor.